In the bottom left corner of the Outlook Navigation Pane, click Calendar . 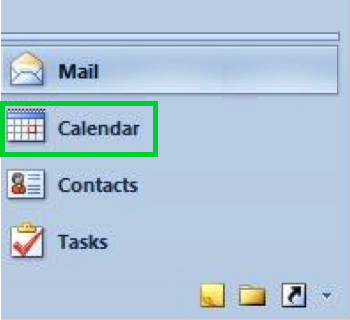 The calendar appears in the Outlook window. 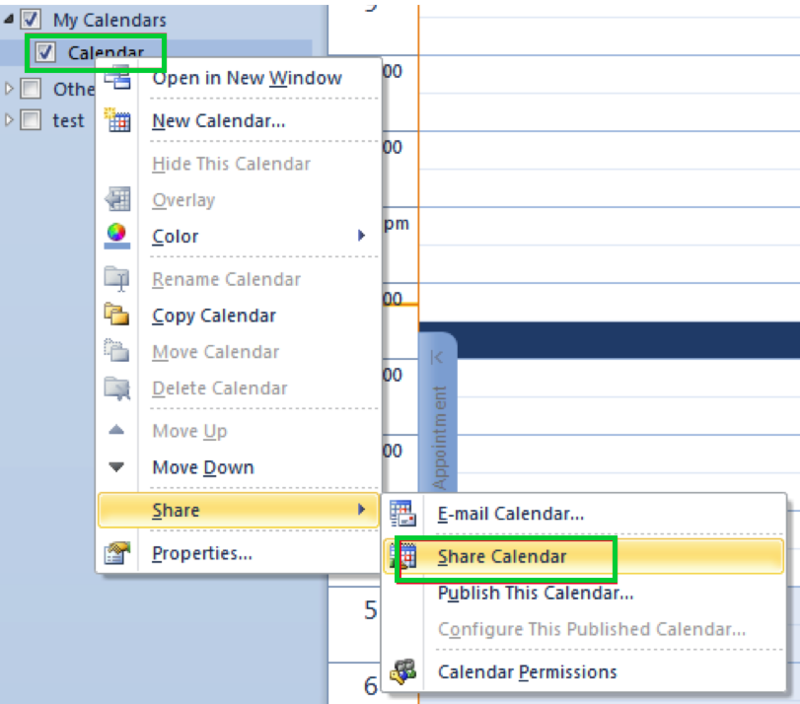 In the left-hand navigation pane, right-click the calendar that you want to share. In the menu, click Share > Share Calendar. In the Sharing invitation window that opens, enter the name of the person with whom you want to share your calendar in the To: field. Then choose the level of access that you want to grant the recipient of this sharing invitation. Click Send. 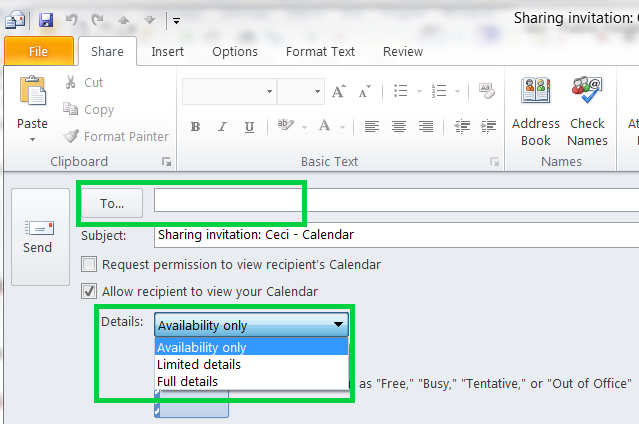 The recipient will receive a sharing invitation with a link that they can click to add the shared calendar to Outlook.